View More In Specialty Laundry. 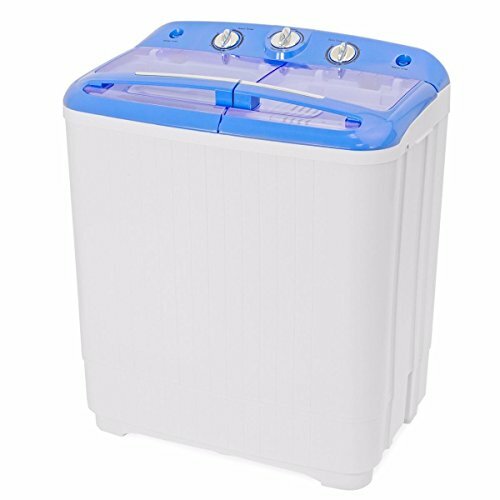 This portable wash machine provides perfect solution for doing laundry in compact environment including dorms, apartments, condos, RV?s, and outdoor camping. It features 9 lbs load capacity for doing light to medium laundry loads. Its cleaning tubs allow you wash clothes easily. It feathers spin tube for easy cleaning drain out dirty water. It is an economic choice for saving money, water, and electricity by using this wash machine. If you have any questions about this product by Love+Grace, contact us by completing and submitting the form below. If you are looking for a specif part number, please include it with your message.